Beat This Caption Contest 150 – Caption Contest Funny Clever Witty Enter Today! 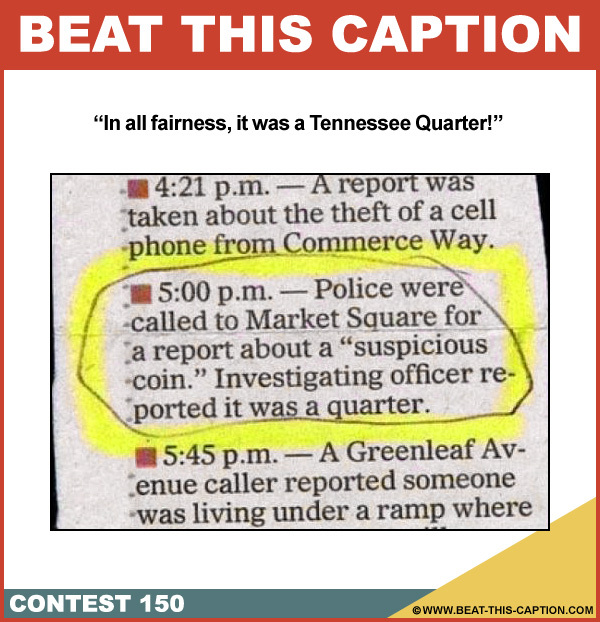 In all fairness, it was a Tennessee Quarter! June 16th – June 23rd 2013.